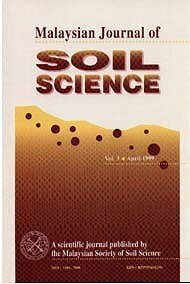 The Malaysian Journal of Soil Science (MJSS) is a scientific journal published by the Malaysian Society of Soil Science. It contains paper in English on matters relating to soil and soil-plant problems. The journal welcomes original reports and notes on research not previously or simultaneously published in any scientific or technical journal from members of the Malaysian Society of Soil Science as well as other workers in Malaysia and abroad. The aim of the journal is to promote the development of soil science in Malaysia, other tropical and subtropical regions.